1. 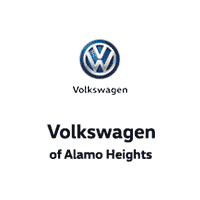 Why Buy From Volkswagen of Alamo Heights? Bring your vehicle to our San Antonio location at 1402 N.E. Loop 410 Expressway San Antonio, TX 78209 and receive a free written Appraisal and Commitment to Purchase – good for 3 days. Use this link to estimate the value of your vehicle: KBB Instant Cash Offer!